Summary: The Lay-Z-Spa Monaco 8 Person Inflatable Hot Tub is ideal for 8 people making it a great choice if you are looking for a spa you can enjoy with your friends and family! There are a lot of inflatable hot tubs available on the market but it is vital to find one that suits yours needs. 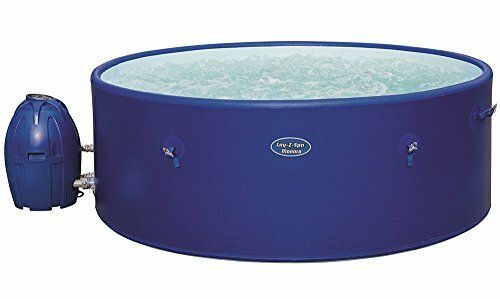 Many inflatable hot tubs are cheap and cheerful, and many are happy for this, but there are some who want that little bit more which is why the Bestway Lay Z Spa Monaco is a great choice. This inflatable hot tub is about as close as you can get to the real deal and because of this the price is a little higher than the average inflatable hot tub. However, this is still an excellent value for money product with a high quality which is why customers will be extremely happy for what they get for their money. The LCD control panel is a sign that this is not an ordinary inflatable hot tub as it gives it that more expensive feel and look. This is a hot tub that looks every inch the part and it will be a welcome addition to any home. When filled with water the hot tub weighs just short of 2,000Kg and it stands 69 cm tall and 201cm wide making it large enough for 8 people. Bestway have worked hard to get this model right, listening to feedback from previous models. This is a lot quieter than other models as it is fitted with a quieter pump and it also has easy to hold carry handle so that the hot tub is easily moved around. A foam bottom has also been added to this model, giving that extra bit of comfort all round. 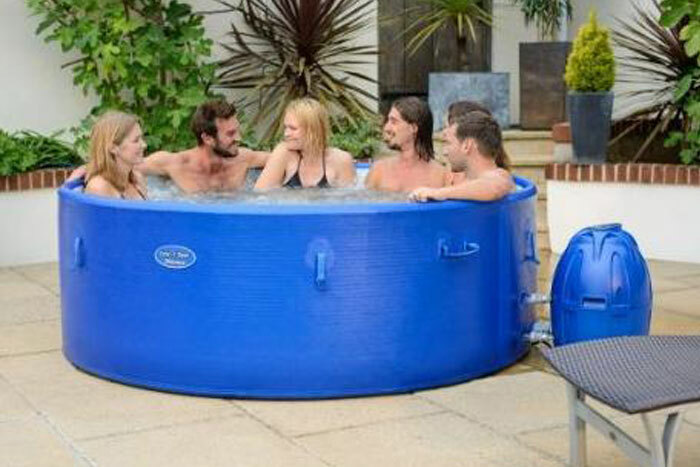 This 8 person hot tub can be heated to a temperature of 40C which is enough for most users but there may be some who like it a little hotter, and there are some on the market that get that little bit more warmth. Not a fan of the blue? You can also get this jacuzzi in grey here. So if you are after a well made, top quality looking hot tub the Lay Z Spa Monaco is right for you but if you like something that’s is warmer to help soak away your troubles and strains then it may be worth looking at another model. When purchasing your hot tub also by some chlorine tablets, these will help prevent algae which will make the base of tub slippery even before you can see it. The Monaco spa is perfect for larger families, friends and parties. The structure is more rigid and is ideal for parents and kids to enjoy at the same time, the robust frame to the hot tub makes it suitable to build decking around to incorporate into your garden and patio. The larger size makes this great for parties or enjoying summer events, watching the football with your friends and beer, if you like hosting a good party then the Lay Z Spa Monaco is a must! Our round up of pros and cons for this 6-8 person spa. Quick and easy to install - Comes with a set up DVD, no tools needed. Size - 6-8 people can relax in this great hot tub. Protection - Comes with an inflatable cover to help keep it warm when not in use. Free delivery - Comes with Free delivery when bought through Amazon. Heating - Due to the size of the hot tub it will take up to 24 hours to heat up the water ready for use. 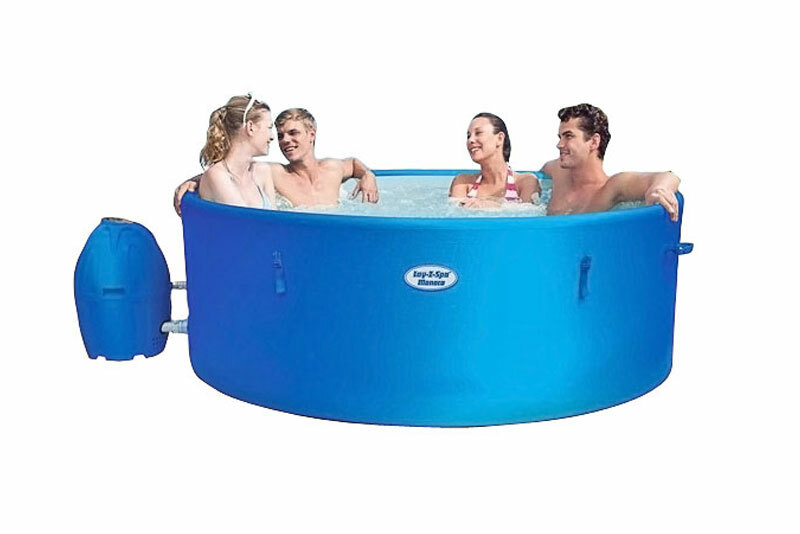 This is a great hot tub for people who want to stretch out and relax be in on their own or with their partner, however the size also allows you to invite friends round as it can hold up to 6-8 people. As one of the largest inflatable hot tubs on the market it is perfect for building into your garden and great for setting up with decking surrounding it for a professional finish and giving you that feeling of luxury and being on holiday. Really disappointed with our Lay-z-spa ‘Monaco’, which we purchased May 2016. We had a really good summer last year using recommended chemicals and cleaning regularly, packing it away for the winter and only refilling it again in April. Since we have started to use it again this year, we have had nothing but problems. The Pump has become noisy and you can’t have a conversation over the noise, the seams of the pool body have started leaking and loose pressure within hours. Although we understand that this a more economical purchase than a ‘Proper’ hot tub, we had hoped to have more that a few months use out of it. If you want value for money don’t waste you time with one of these!